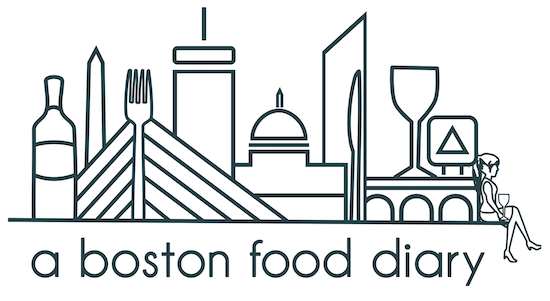 A Boston Food Diary: It's Snowing! Road trip time! Headed up to Vermont today for a little R&R and wow...it is snowing up here! I am one of those very strange people who loves the snow so I have been giddy with excitement for the past few minutes! On the way up we stopped at the Woodstock Inn and Tavern for lunch. We had heard about the Brewery on The Phantom Gourmet and since it was on the way to the final destination (sorta) we thought we'd give it a try. I have to say, I am consistently unimpressed with what I find on the Phantom. Today's experience was no better. We ended up splitting nachos and a pulled pork sandwich. The nachos were a bit burned and with far too little cheese- a crime in my book- and the pork as a bit dry and rather sweet for my taste. However the house brews were delicious! Now though it's time for me to sit back, enjoy a pint or two of good Vermont beer and kick off my mini vacation. Happy Saturday all! I agree - I feel like more often than not I'm disappointed lately in Phantom Gourmet reccos. Rather than focusing on well prepared, good food they're more about cheap gluttony. Vermont is beautiful this time of year! I'm glad you had a great time. I agree with Alicia, the only thing Phantom is good for anymore is the best place to find a fried taco wrapped in a pancake on a pizza. I've visited more than 70 brewpubs across the US and Canada, including the Woodstock Inn, and I find that going in with the expectation that the food will be good is a big mistake. Enter with low expectations and be happy on those rare occasions when you're surprised by good food. That said, the brewpub at the Norwich Inn in Vermont (Jasper Murdock's Alehouse it's called) has delicious, pub-style food made from fresh, local ingredients. It's not far from Hanover, NH and Dartmouth College. Well worth the stop.